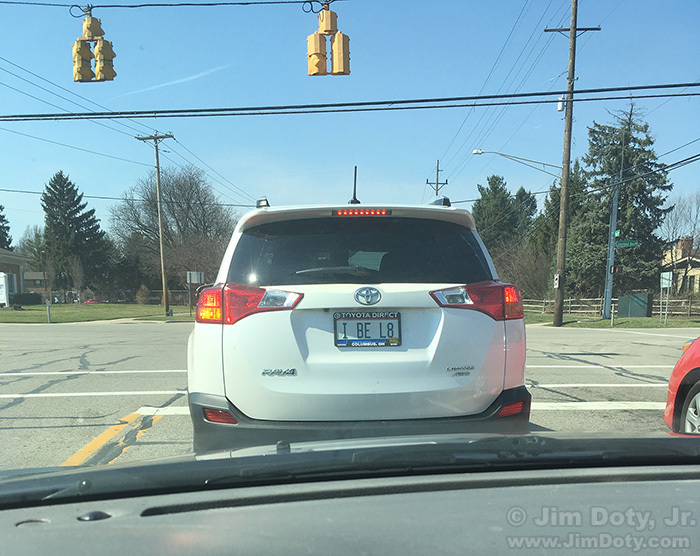 In any case I grabbed my iPhone and took a picture before the light turned green and they drove off. This is my favorite image for March 9. I couldn’t remember where I was when I took this picture. I could tell by the street sign that the street in front of me was Cleveland Avenue, but I couldn’t read the name of the street I was on due to the angle of the sign. So I opened the image in Adobe Photoshop and looked up the GPS coordinates embedded in the metadata for the photo. Most smart phones keep track of where you take each picture unless you turn that feature off. 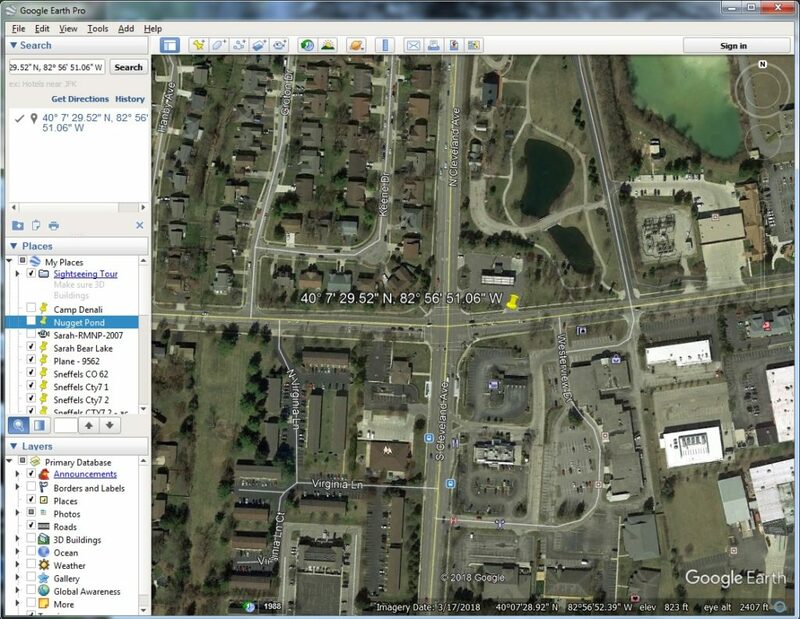 I dropped the GPS coordinates into Google Earth Pro (a free download). Google Earth Pro gave me a map of where I was at when I took the picture. I was on West Main Street at Cleveland Avenue in Westerville Ohio. While it wasn’t all that important for this photo, just a matter of curiosity, sometimes GPS coordinates in a photo can be very useful.